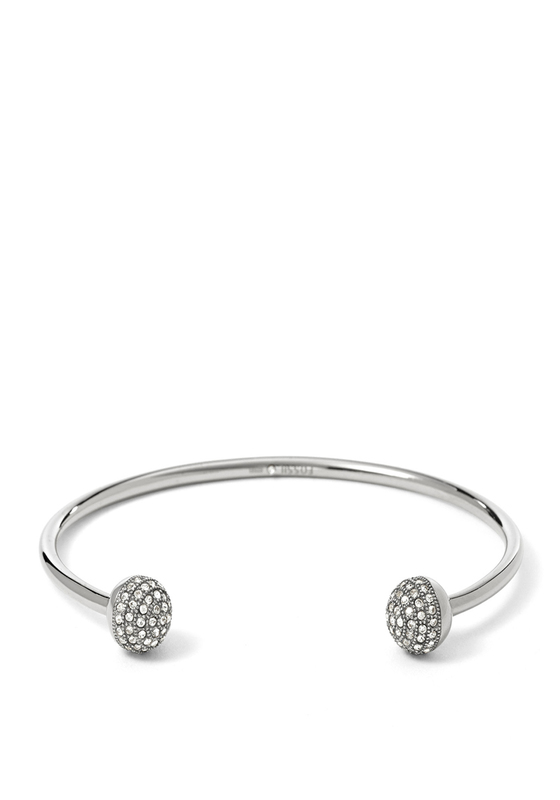 Add some sparkle to your day time attire with this new Fossil bangle. 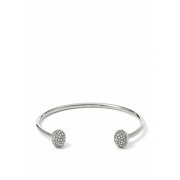 Designed in silver with two small sphere elements at the end that are encrusted with small white crystals. With no fastening the bangle is easy to take off and put on. An essential for any jewellery box.